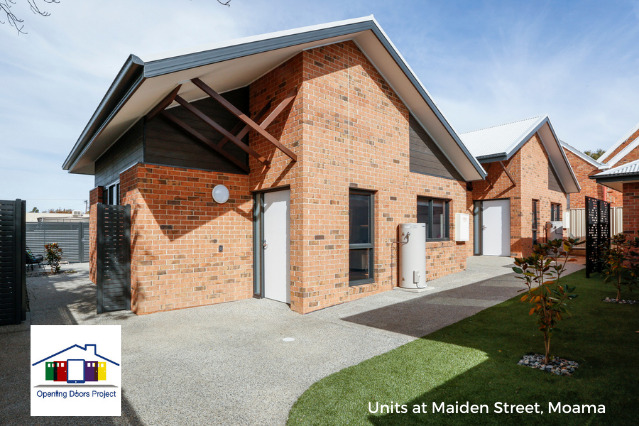 Community Living & Respite Services (CLRS) is raising funds to build a home and 2 units in Moama for people with disability. Construction is commencing at 33 Maiden Street Moama in March 2019. The expected completion date is late 2019. This project will great wonderful opportunities for people with disability, including increased independence and community inclusion. Specialised Housing for people with disability is in short supply. Your support will make an enduring difference. Similar Opening Doors Projects were completed in 2014 (Minor Street Echuca) and 2017 (Eyre Street Echuca). Our Opening Doors Project provide accessible housing for people with disability, allowing maximum independence and inclusion in our community. Our projects have a ripple effect for families and carers, and provide peace of mind to carers for the future.